A Juneteenth Celebration; June 19th, 2018, marks the third year of what is now an annual event at Joe’s Pub, in NYC. This event was born out the desire to not only celebrate my birthday doing the thing that I love most, playing concerts, but also to introduce audiences to often under-represented repertoire of the diaspora. The significance of such a concert on this date is profound. On June 19, 1865, in Galveston, Texas, Union Army General Gordon Granger stood on the balcony of the Ashton Villa and read General Order No. 3 announcing the complete emancipation of slaves as articulated in the Emancipation Proclamation signed into law by President Lincoln just a few years earlier. His reading of the order, buttressed by the presence of a couple thousand Union soldiers announced and guaranteed the freedom of every slave. Juneteenth is first and foremost a celebration of freedom and in the case of our particular Juneteenth concert, it is a celebration of what black musicians did and continue to do with that freedom. It is the celebration of women and men from then to now, who decided that against all odds, they would pick up a violin, a conductor’s baton or a composer’s pen; it is a celebration of women and men who chose a life of creativity in music when most of the world was determined to tell them in myriad ways, big and small, that they could not and that they should not. Our programs always features the music of the diaspora, but also sometimes the music of South/Central American or Asian (and even the odd European) traditions that is speaking to us at the moment. This years’ Juneteenth program will feature the works of Nigerian-American composer Nkeiru Okoye, Guyanese-American composer Hugh Sam, and African-American composer Edward Hardy, among others. 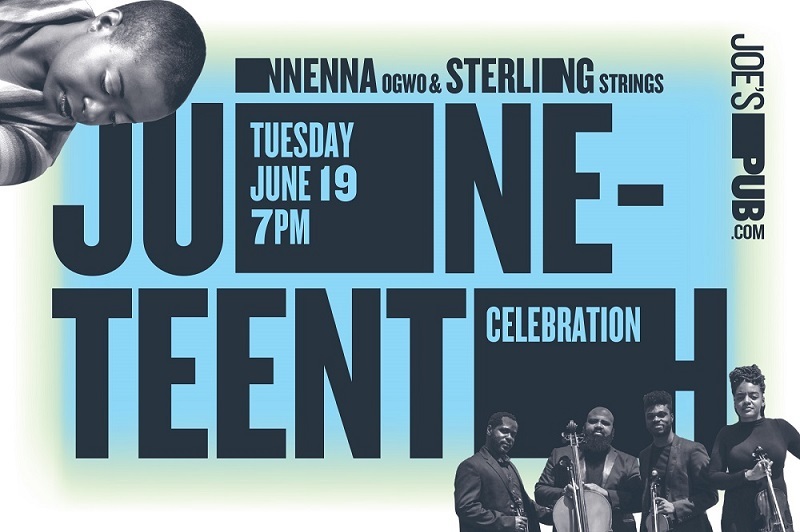 The collaboration with Sterling Strings will allow us to revel a bit in the music of Stevie Wonder as well as introduce the audience to a collection of Scriabin preludes whose evocative qualities have reminded me of Nina Simone’s vocal renderings for as long as I can remember. So, please join us as we honor our freedom, that greatest of gifts, and the many ways that creative musical spirits have made that gift manifest. As always, a big shout out to the staff at Joe’s Pub for making this one of the best experiences of the year and to Toshi Reagon for making our first two iterations possible as part of her legendary GoodFolks Series. Nnenna is a classically trained pianist and teaching artist dedicated to engaging listeners with her lush, richly layered performances. Her unwavering commitment to programming the music of under-represented composers is rooted in the belief that we can’t be what we can’t see or hear. 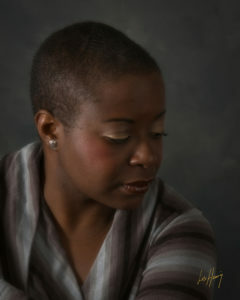 This commitment is reflected in her various projects and collaborations with other musicians of color in presenting music of the African Diaspora and beyond. nnenna ogwo © 2019. All Rights Reserved.